Confessions of a Hungry Woman: Olive Oil Beauty Stuff. Good Enough To Eat. I do not subscribe to less is more. It's simple really. No, More is most definitely more. If I like something, its stands to reason that I'd want a lot of it. So that's why I've never been a La Mer fan. God forbid I should start liking the most expensive beauty product in the world, and then have to secretly take a second mortgage on our house to support my beauty addiction. But I do like lovely long baths, and even-longer non-evironmentally friendly showers. I like pretty smelly things, and beauty products in nice packaging. And no, I'd rather not smell of a magnolia thank you very much. 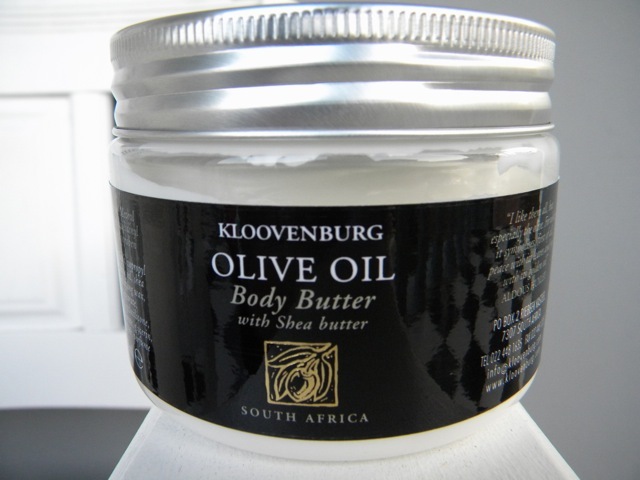 So, how fabulous, to discover that my favourite olive oil producer, Kloovenburg, (11 years' worth of dirty weekends in Riebeek-Kasteel) has now entered the beauty world. They first started making soap as a by-product to their olive harvest and olive oil production in the valley about 10 years ago, and we would stop off for a quick shop of olives and olive oil soap for my sensitive skinned mother and cousin. They swore by it. And I obliged by buying it for them, but tempted to forego my own imported smellies? No, not me. Not then. Now, however things have changed, my skin has become more sensitive and easily irritated, (yes, I am now talking about my skin and not my personality), and I am also making peace ( sort of ) with my inner Frugalista. 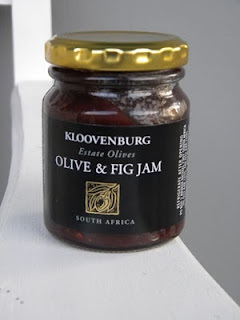 Which is why I am absolutely thrilled with Kloovenburg's new range. Olive oil, as my mom's Greek friend, Zetta, assures me is Liquid Gold and she is loving proof that by using it, you can shave 15 years off your age and no one will be any the wiser. 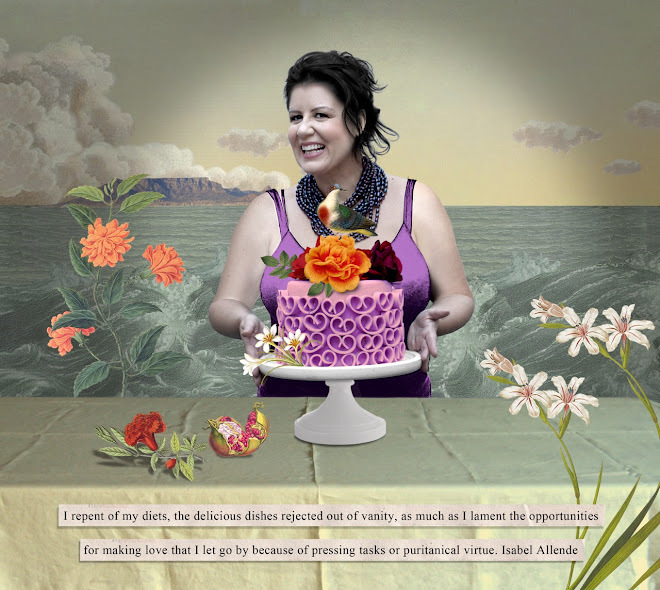 Which make me even happier when the lovely Annalene du Toit, tells me that each olive oil based product contains at least a 1/3 actual olive oil. These olive oil enriched beauty products are really amazing, offering intense moisturising properties, without leaving a greasy residue, they are gently fragranced with essential oils imported from Grasse, France, as well as from a local supplier who supplies them with an indigenous essential oil. To be frank, it's hard to believe that the products are as reasonable as they are. They might not cost a lot, but they certainly aren't a cheap product. But ranging from R19 to R71 per item , you'd be hard pressed to find anything else this good at these prices. And the elegant black and silver packaging looks expensive too. These are nice products to have if you're into aesthetics as well and you're trying to wean your man off the supermarket variety shower gel that he is so fond of and which really screws up your boudoir/bathroom style. But more importantly they work. They are the perfect antidote to itchy winter skin, and I'm sure come summer, my skin will be grateful for my new beauty regimen. I'll be buying it in huge quantities. I'll also be buying their olive and fig jam ( grown and made on the farm) in vast quantities. Eaten with a sharp cheddar, or even plain on a toasted slice of rye bread. Yum. Because beauty comes from inside. As well. So they say. Just to give you an idea of the prices, here they are, unfortunately not (yet) widely stocked, it's best to email info@kloovenburg, to find out more about where to buy their products. Or do yourself a favour and take a drive out to the valley and stock up on their rather delicious Kloovenburg White from Red Brut, if it's not all sold out. This pale pink sparkling is is fabulous and while it may not be Laurent Perrier, it still goes down a treat.